For a week now, that list has been sitting by the side of my computer. I can’t think of a single thing I know for absolutely certain. I used to be enamored with particle physics and quantum physics. I loved that everything could be broken down into smaller and smaller particles, until you ended up with a particle that acted like a wave or a wave that acted like a particle or some such, and then if you broke that wave/particle down into further components, you ended up with . . . nothing. Which to me means that the universe was created out of nothing, not just way at the beginning with what some people call the big bang, but that every single day the universe creates itself out of nothing. So how can one be certain of anything when nothing exists? Whether any of this is true or simply my own bizarre extension of an already bizarre idea, I have no way of knowing, let alone knowing to an absolute certainty. I’m sitting here at my computer, with my elbows on the table, wondering if there is a certainty about that, but since all solid matter is mostly air — the particles that create the atoms that create the molecules that create the table are so far apart as to be bits of dust floating in empty space. Yet somehow my brain translates those particles into the table and my computer. At least I think it’s my brain that does it; I don’t know. I can only assume I have a brain. I have never seen it. I think and feel, but perhaps those thoughts and feelings don’t exist either — they could be brain blips, things my brain tells me are real for its own nefarious reasons. And what about me? Do I exist? I listened to a pod cast the other night where a biologist explained his theory that what differentiates us one from the other is not our brain or a soul somewhere deep inside, but something from without. Eternal energy, perhaps. Specific rays of energy that are beamed into our body/minds like television signals into a television channel. A fascinating idea, but it’s only that — an idea. Not something anyone knows for certain. I took a walk in the desert today. I could feel the warm air, smell the drying cresote bushes, hear the ravens overhead, feel the ground beneath my feet. For a moment or two I was not a separate being walking in the desert — I was connected to it in so many ways that it seemed we were a single entity: desert/woman. And that could be the truth — our bodies do not end in a hard barrier but extend beyond our cells to where there is an overlap with our environment — with something that is not us. Or maybe it is us. Maybe we are everything and everything is us. Okay — now I know one thing for absolutely certain. 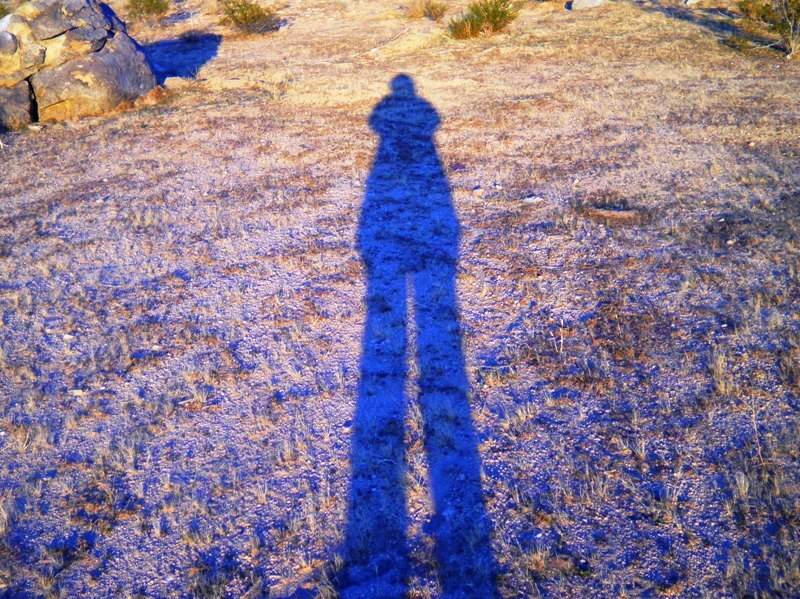 I spend too much time alone walking in the desert. Where else would such mystic ideas come from? Good points, Deb. See? I got a list and didn’t even have to work for it! That’s what friends are for. I had to laugh at #4. I guess that’s pretty apparent. Thank you for #9 especially. I appreciate the reminder. Really? I have an author friend (Mark LaFlamme) who was into that & its next part “the string theory” on which he based one of his horror novels. Deborah makes 10 good points (way to go Ms Owen) my favorites being #5 & #9. One thing I know for sure: I need to stay off the internet & get back to work. I tried to untie the mystery of string theory, but somehow never managed it. The strangeness of quantum physics makes more sense. It’s almost mystical. Quantum physics is a hoot. I love being uncertain. This creates a problem when writing. Do readers want a certain ending? Or just an ending that makes certain what happened and what will happen in the future. How far does that certainty extend? I believe there’s no certainty except Newton’s three rules. And I don’t believe we’re in complete control of our fate. I believe everything is interconnected in some infinite chaos. Wheeee! What fun! If people don’t like the endings of my books, well, too bad! Apparently readers read to find certainty in an uncertain world, so if you give them a quantum ending, of course they’re not going to like it. I love your comment, “I believe everything is interconnected in some infinite chaos.” So nice to know someone else appreciates the certainty of uncertainty.